Today marks the end of an era. 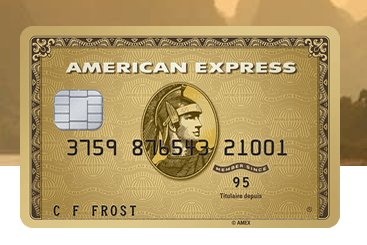 Nearly 7 years after it was launched the American Express Gold Rewards Card is no longer first year free. It was inevitable, a card to maintain such a long run with basically an option to try it out for free is unheard of. All of this card's competitors don't do it, they only bring about such an option on a limited time basis and we can assume that may be the case now with the American Express Gold Rewards Card. The 25,000 Point welcome bonus - worth $250 in travel with Amex's Use Points for Purchases option or worth even more when converting to one of the card's frequent traveler partners like Aeroplan or British Airways Executive Club. Its direct competitors that offer Aeroplan miles or British Airways Avios typically only offer 15,000 miles as their sign up bonus. That last reason is the main reason I have held onto my card for so long. I have a family of four and I probably spend on average $400 to $700 a week on groceries, gas and drug store purchases. That equates to 800 to 1,400 Aeroplan Miles or Avios per week or somewhere in the neighbourhood of 41,600 to 72,800 miles per year. That's a lot and doesn't include my travel purchases made on the card. I would estimate I earn the equivalent of 100,000 miles per year on the card. That's worth a lot more than the $150 annual fee I have been paying on it for the past 6 years. Not to mention if you take advantage of the limited time bonus to transfer to British Airways of 25% and I'm looking at 125,000 Avios per year. If you don't have this card yet, yes its unfortunate you didn't get in on it when it was first year free but don't let that deter you from getting the card, it was ranked our #1 travel rewards card for 2017 and years before and it keeps that ranking as it still one of the best travel rewards cards.